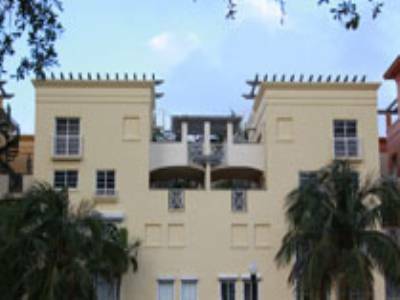 Miami Condo and Homes Announces Incredible News from National Association of Realtors! The National Association of Realtors Announced March 21, 2012, that pending home sales are up nationally by 9.2% from last year in the month of February. This is a slight decrease of .5% from January. In the Southeast, the pending home sales in February dropped by 3% , however on average was still up 7.8% from last February. The Pending Home sales data is comprised of homes that have gone under contract, not yet closed, and is considered a direct indicator of the future of the market. Lawrence Yun, Chief Economist for NAR was quoted as saying “If activity is sustained near present levels, existing home sales will see their best performance in five years. 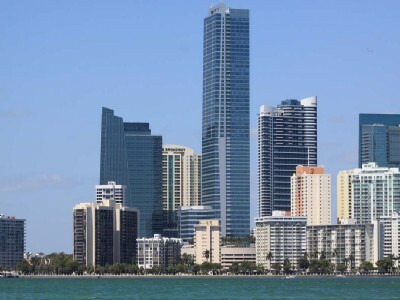 Based on all of the factors in the current market, that’s what we’re expecting with sales rising 7-10 percent in 2012.” This is wonderful news for the Miami Beach real estate marketplace, since it was hit very hard by the real estate crash in 2008. In Miami Beach, we could certainly already see an uptick in sales. The inventory in Miami is dropping very quickly and is estimated to be at a six month supply, which is down from a nine month supply this same time last year. Nationally, 2.43 million existing homes were listed for sale in February, which is the fewest since 2005. In Miami the supply of homes listed for sale was down nearly 50% from last year. 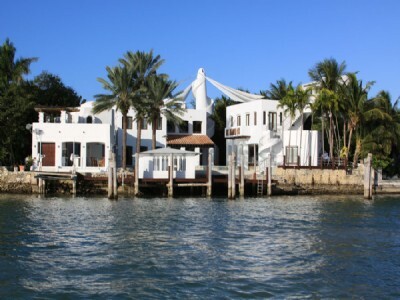 Further, Inman News ranked Miami as the third city for listings over $1 million. 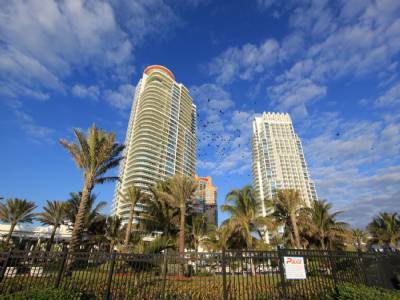 If you are interested in buying a condo in Miami, now is definitely the time. We anticipate home sale median prices will increase due to the lack of inventory, as well as buyer interest in the Miami market. If you are selling your condo, the conditions have not been this favorable since well before the crash in 2008. Contact Miami Condos and Homes for more information!! 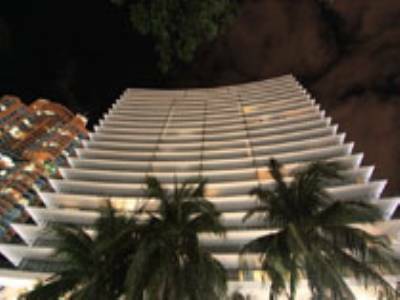 Miami Beach Condos and Homes is pleased to bring you a converted Unit at Mei. Listed just under $2 million, this ultra modern skyhome is truly a work of art. With 2 bedrooms and 3 bathrooms and 2,250 square feet, this fully furnished home is spacious and incredible. The owners converted two plush one bedrooms into 1 home, that is by far the most incredible in the building. Surround sound wiring is throughout the home, and has electric blackouts and curtains for those wanting to sleep in. There are two enormous terraces and lots of light in this loft style residence. Both bedrooms are master bedrooms with incredible closet space. The kitchen is chef ready and has all the latest appliances including wet bar, disposal, and dual ovens. The floors in this home are all marble and every finish is custom. Living in Mei can be described as decadent. The 135 Residences are on 22 floors and each home features wrap around balconies, tempered glass counters, river and rock marble flooring, limestone, and Kohler performance showers. 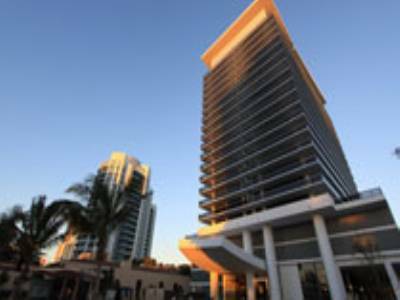 The amenities are some of the finest in Miami Real Estate given that the developers of these residences are in the hotel industry, having designed resorts for Hyatt, Regency, and Hilton. Mei has a private lobby, business center, incredibly landscaped oceanfront pool deck, valet, clubhouse, multifunction entertainment area, beach club, high speed elevators, smart building technology, tea lounge, library, and magnificent 4,000 square foot spa and fitness facility. Its neighbors are The Bath Club and Akoya, and all of Miami is at its gates. The nearest airport is Miami International Airport and the neighborhood of the 60’s and Collins is one of the most coveted, due to it being a bit quieter than South Beach, but only minutes away. For more information on Mei, contact us today!! 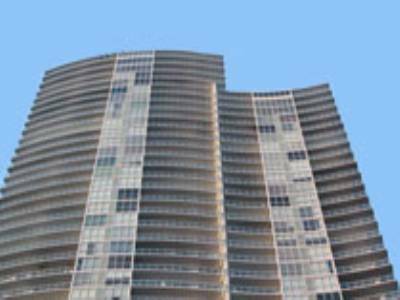 Condo Sales in Sunny Isles up 67%! Nothing but good news to report in the South Florida Real Estate Marketplace! Sunny Isles has been an area of incredible growth within this fertile climate. Sales of new condos are up 67% in the third quarter of 2011 compared to 2010. At this pace, experts estimate that Sunny Isles is selling at a pace that will shrink the inventory in Sunny Isles to nothing in the next 15 months. According to Condo Vultures there are only 675 unsold condominiums left. Investors are flocking from all over the world as well as domestically to take advantage of the incredible values and luxury condos in Sunny Isles. It is easy to see why Sunny Isles is getting so much attention as well, it is conveniently located to the Fort Lauderdale and Miami International Airport, contains some of the most beautiful beaches in Florida, and is minutes away from the world class shopping at Bal Harbour. The luxury condominium opportunities in Sunny Isles are simply incredible. One Bal Harbour, Trump International, Jade Beach and Ocean, Acqualina, and Turnberry Ocean Colony, are among the most esteemed condominiums in South Florida. These resort style living facilities contain jaw dropping views, the latest in fitness and wellness spas, and incredible residential lay outs and finishes. For more information on buying what is left on the market in Sunny Isles contact us today, things are really selling out! Sales are up, mortgage rates are at all time lows, and inventory is shrinking, what an exciting time in Miami Beach Real Estate! The sale of condos in Miami Beach have been steadily increasing since 2010 and the sale of over $1million dollar properties are witnessing the largest gains. Since the job market is experiencing growth, the market is further bolstered by new homeowners purchasing properties. In South Florida, we are also experiencing booms of buyers from Latin America, China, and Israel. Second home buyers and investors have long been attracted to Miami for its incredible weather, attractions, and good resale value. Below are some of the to the minute statistics of the market today and we are very excited to report these gains. It is an ideal time to both list and buy, so do not delay! These statistics are reported from Altos Research. 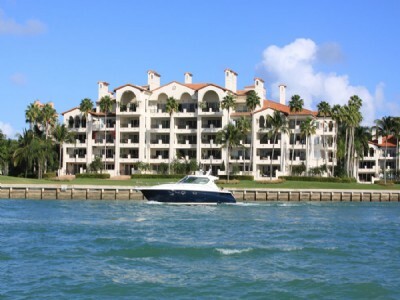 Live the Life at Fountainbleu II! Of all the resort hotels in Miami, none are more famed than the Fountainbleu. Located on 1,200 feet of white Florida sand, within 18 acres of recreational facilities, the Fountainbleu is truly resort living at its finest. The Fountainbleu contains some of Miami’s most prestigious restaurants including Scarpetta, Gotham Steak, and Hakkasan, which offer steak, Chinese, and Italian at your fingertips. Further dining options are available poolside, at one of their many glistening pools. As if the dining options were not enough reason to live at the Fountainbleu, it contains two of Miami’s most decadent night clubs as well, Arkadia and Liv. Lines form around the corner for these hotspots that feature live music and bottle service nightly. It is not uncommon to see celebrities at any of the dining or night spots. Relaxation is also easily attainable at the Fountainbleu, with its world class spa, Lapis. Lapis overlooks the Atlantic Ocean and is an oasis dedicated to mind, body, and spirit, and it is open 7 days a week. The fitness facilities are massive at the Fountainbleu with its 5,800 square foot state of the art gym and classes abound any hour and day you wish to attend along with personal training services. Fountainbleu II is the residential section of the Fountainbleu and these residences are impeccably finished to satisfy even the most discriminating tastes. Ranging from $400,000 to well over $2 million, the residences at Fountainebleu II are from studios to 3 bedrooms and up to 2,500 square feet. These residences are fully furnished in the latest in the latest designer fashion, and are in a soothing pastel color palette. Flat screen televisions are available in select units, as well as king sized beds. All residences have natural Berber carpets, Jerusalem stone flooring, granite kitchen countertops, stone finished bars, and deluxe marble bathrooms. All residences are maintained by a daily housekeeping service and residents enjoy all the amenities! For more information on Fountainbleu II Contact Us Today! Many condominium home owners would love to grow a garden on their balconies, but simply do not know where to begin, nor know precisely what to grow. There are few things more rewarding than growing herbs for example and making a pesto with fresh basil. Beyond herbs there are varieties of citrus trees and even small fir trees that thrive in semi sunlight. By being either east facing or west facing, certain plants that require partial sun actually thrive in condominium environments. Here are some simple steps for beginning your balcony garden. If you are new to the area and in need of a balcony to populate with herbs and flowers, please call Miami Condos and Homes Today! 1. Keep in mind the end size of your plant. Like buying a pet, you must know the end size. A bull mastiff would be unhappy in a 400 square foot studio, and so would a palm tree on a balcony. Further, make sure the container you are placing the plant in is appropriately sized for the end result. 2. Minis. Many of the plants you may love in their full size are available in miniature varieties. These mini flowering plants can also be combined in a larger container to make a living arrangement, check with your local supplier for combinations that thrive together. 3. When designing the layout of your garden, consider if you would like to have fruits or vegetables and their growing seasons. You could use one space explicitly for a fruit or vegetable in season. 4. No need to use insecticides. Since condos are in the sky, the threat of insects is considerably less, so growing organically is highly favored. Many chefs in New York and beyond favor this type of growing for this very reason.